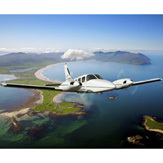 Take to the skies with Atlantic Flight Training. This experience offers you a unique insight into becoming a pilot! 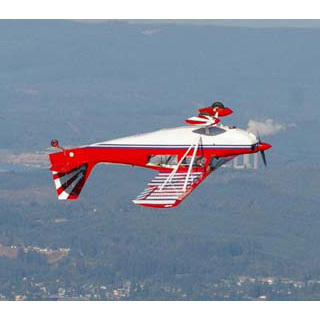 You will get the opportunity to handle the aircraft and also to enjoy the scenery from aloft. This experience lasts for approx. 60-80 minutes in total. Minimum 15 years of age. Flights are subject to weather conditions. For this experience, a size restriction of a medium build and weight of 19 stone applies. This voucher is valid for one person. For insurance purposes the lesson will be strictly one on one. Atlantic Flight Training is based in Building 4500, Airport Business Park, Cork Airport, Cork. Atlantic Flight Training is open 7 days a week between 09:00-18:00. Advanced booking on AllGifts.ie of at least one week is required. 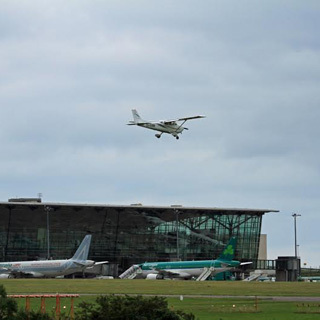 Situated at Cork International Airport, Atlantic Flight Centre is located just 5km from Cork City. 3.5NM south of Cork City. Have you been longing to fulfill that lifetime dream of flying an aircraft? 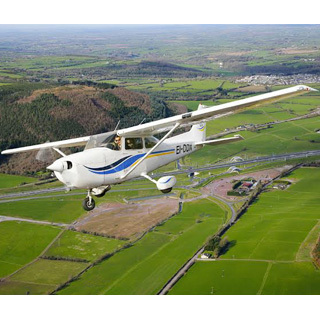 Atlantic Flight Training in Cork offers you one of the best flying facilities in Ireland to get you started. From start-up lessons to aerobatic flying, Atlantic Flight Training offers you the most exhilarating flying experience that is guaranteed to provide you the ride of a lifetime. The natural environment and coastline surrounding the airport provides ideal geographical flight training conditions. Training is carried out and supervised by qualified and experienced flight instructors who have thousands of hours experience in both airline flying and student instruction. This activity is weather dependent. If concerned about weather please phone the day before or the morning of your flight to inquire about whether or not your lesson will be going ahead. How it Works: Use this gift voucher on AllGifts.ie to make a booking with Atlantic Flight Centre in Cork. Or you can swap this voucher for any other gift or voucher listed on AllGifts.ie. Simply follow the instructions at the bottom of your voucher.